LinkedIn created a program about a year ago to help causes and their leaders called LinkedIn for Nonprofits. I signed up and have been using these features for the past 12 months. If you serve on the board for a nonprofit, or volunteer in some capacity, I encourage you to check out this feature. LinkedIn asks that you register online for a 60-minute introductory webinar; the next one is 1 p.m. Wednesday. Once you complete it, you’re in. The most important benefit is an upgrade to your account from free to Talent Finder, which usually costs $99.95 a month. This pro account allows you to contact up to 25 members a month using InMail Messages and conduct targeted searches within the network. 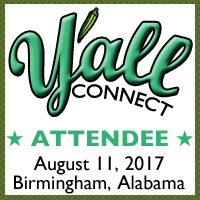 That search capability has allowed me to find volunteers, sponsors and vendors for my group, the Alabama Social Media Association. It has also helped with securing sponsors and vendors for my annual conference, Y’all Connect. Best of all, this program is free. Check out LinkedIn for Nonrprofits. Not only can it help you find the right talent for your cause, but also help you understand the power of building your network in this social media channel.